There’s hardly a bad thing that can be said about the 2015 Corvette’s mechanical prowess. In the case of WardsAuto, the organization can only say good things − so much so that it has bestowed the Corvette with the Ward’s 10 Best Engines award for 2015. This is the second time the powerplant has won this award. WardsAuto reviewed “37 engines and propulsion systems” from 12 manufacturers for the 2015 competition. Focusing on power, fuel efficiency, new technology, and refinement, the LT1 stood out when compared with data for competing engines. The LT1 Small-Block’s technologies make the C7 Corvette the quickest, most powerful, and most fuel-efficient standard Corvette ever. The engine delivers up to 460 stock horsepower and is transferred through either a seven-speed manual or eight-speed automatic, helping the 2015 Corvette achieve the 0-60 sprint in 3.8 seconds and the quarter mile in 12 seconds while offering 29 mpg highway. this is obviously an ad. no link to the gallery itself? no mention of other vehichles? An ad this is not. Based off a GM press release? Yes. The only thing i am upset about is that the Chevy name was not mention , but GM still want to take credit for the 60 years of small block !! 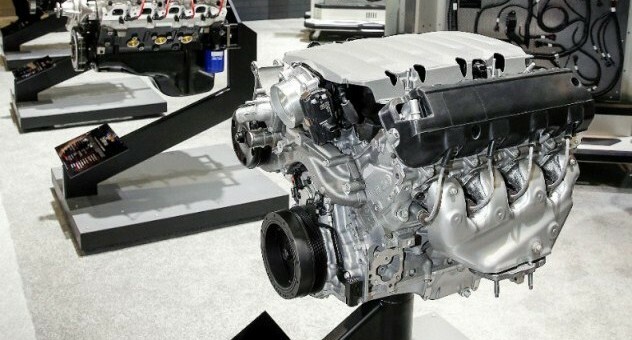 If not a Chevy engine then they should take credit for the time it became just GM engines.